Creighton University men’s basketball fans, get excited! Cale Ferrin is back. Cale, a fifth grader, was born with a rare blood disorder known as Fanconi anemia. He is the only child in Nebraska affected with the disease, according to the Fanconi Anemia Research Fund. The organization reports only 31 babies, on average, are born in the United States each year with the disease. By age 7, Cale had already endured more than 100 hospital stays and 26 operations. 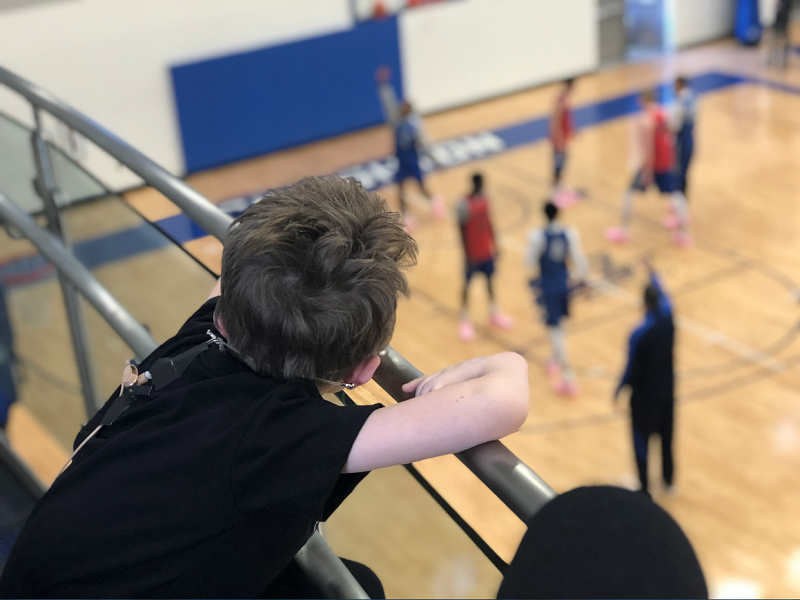 Despite all of this, the 11-year-old fills his world with positivity. 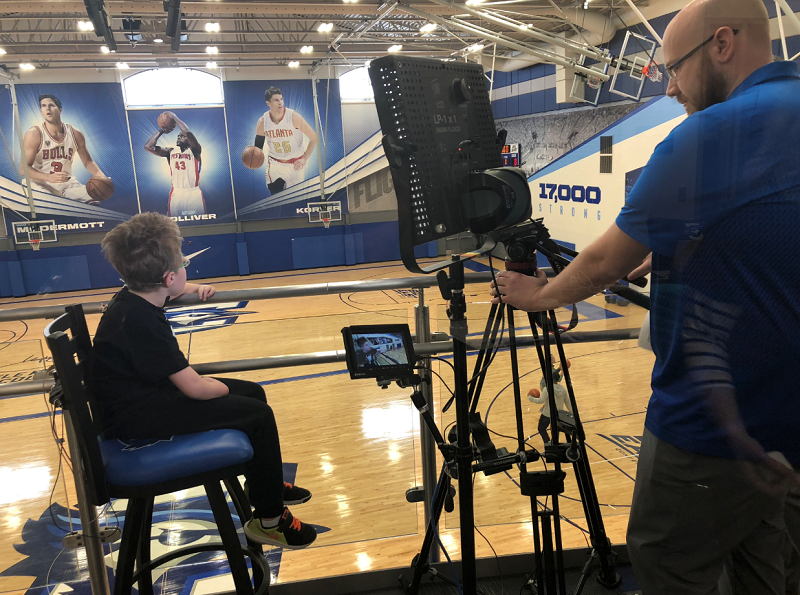 The relationship between the Ferrins – who have been longtime season ticket holders – and the Creighton basketball program began years ago when Cale wanted desperately to meet his favorite player, Doug McDermott. At that request, associate athletic director Mark Burgers picked him up and walked him through the locker room to meet the players before a game. The relationship grew from there. 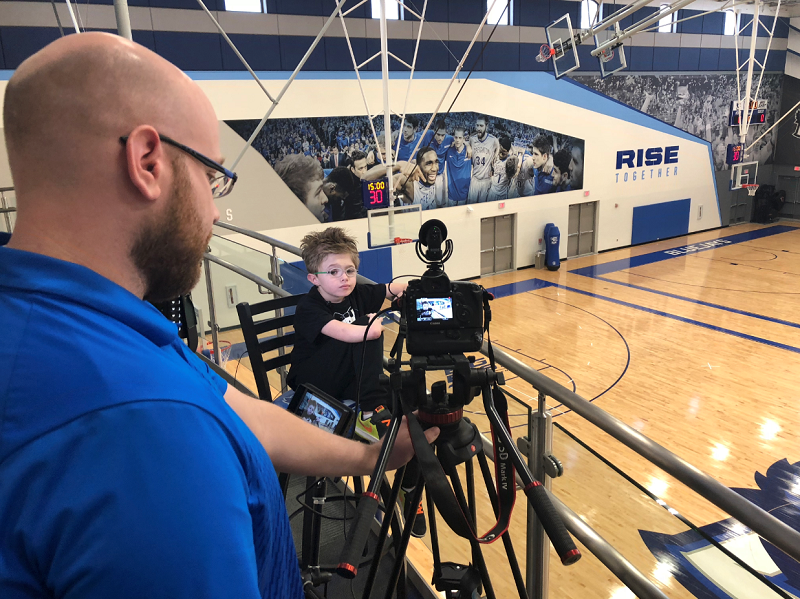 Last year, the Bluejays launched a weekly video segment called “Meet the Bluejays” in which players and coaches sat on little chairs and answered questions from Cale. And the segment has become a very popular part of the CU game experience. Cale has no problem being in front of the camera. He has appeared on Nickelodeon and TV Land and in a Target commercial. And that’s only the beginning of his celebrity status. We’re looking forward to hearing his thoughts on this year’s team! Go Bluejays!